With over 150,000 square feet of factory floor in Oak Creek, Wisconsin. Superior Die Set has extensive manufacturing capabilities to rapidly respond to a wide range of projects, large and small, all under one roof. Superior has impressive capabilities backed by over 90 of years’ experience, serving the greater manufacturing industry. Explore below to learn more about how Superior can help you hold the timelines, tolerances, and budget on your next project. 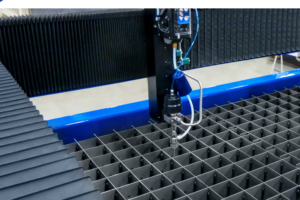 Offering both Oxy and Plasma cutting on 5 different machines with full CNC controls and nesting software, Superior offers a range of cutting capabilities from 1/8” to over 12” thick. Shape cuts, burnouts, ramps, and more, are possible with precision not usually available on flame-cut steel plate. +/- 0.030 is typical torch-cut tolerance on 2” thick plate. 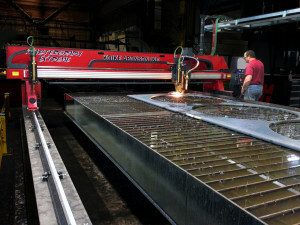 So let Superior start the spark on your next cut-plate project. New Water-Jet Cutting at Superior offers a range of cutting material capabilities from Steel, aluminum, glass, copper and others on our 6 x 13 cutting table. 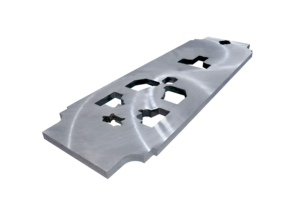 Water-Jet Cutting specializes in such features as: +/-.005″ tolerance, intricate precision cut geometry and internal cut openings, with no heat effected cut zone. Our stress relieve oven is 4′ x 8′ x 16′, car type design for easy load accessibility. 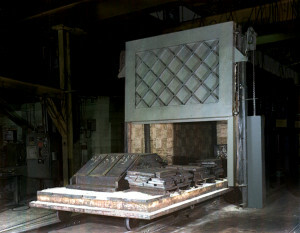 Tempering furnace available for our in-stock pre-hard alloy steels, to soften flame hardened edges. 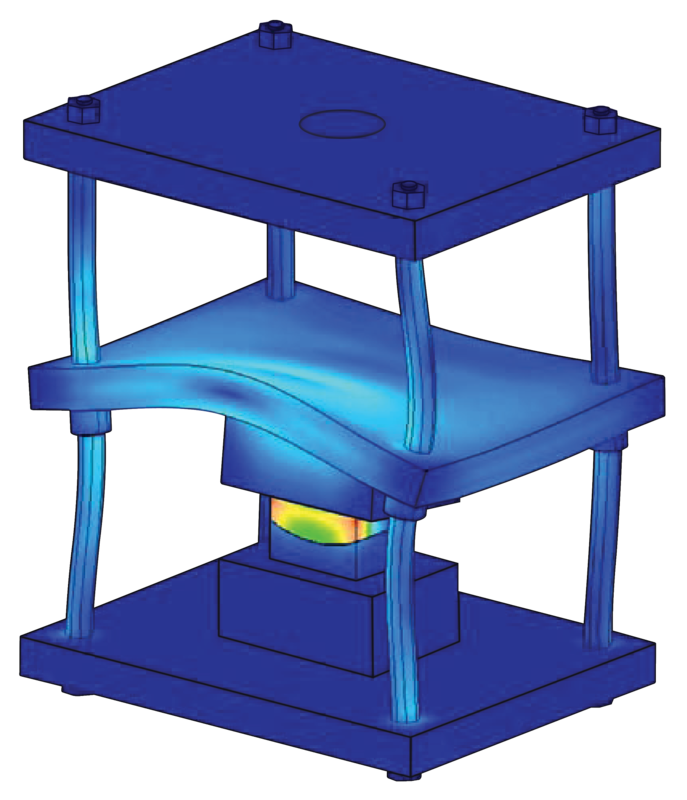 Vibratory Stress Relieving gives unlimited size capabilities for special application not suited for thermal applications. 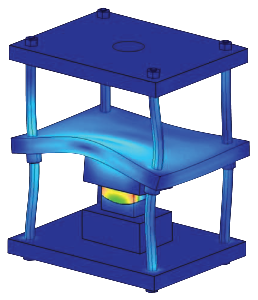 The Acceleramator scans the structure of the fabrication from 0 to 6000 RPMS. Then creates a chart identifying the unique stresses to that structure. The stress relieving process is vibrated at the stress points identified in the scan. 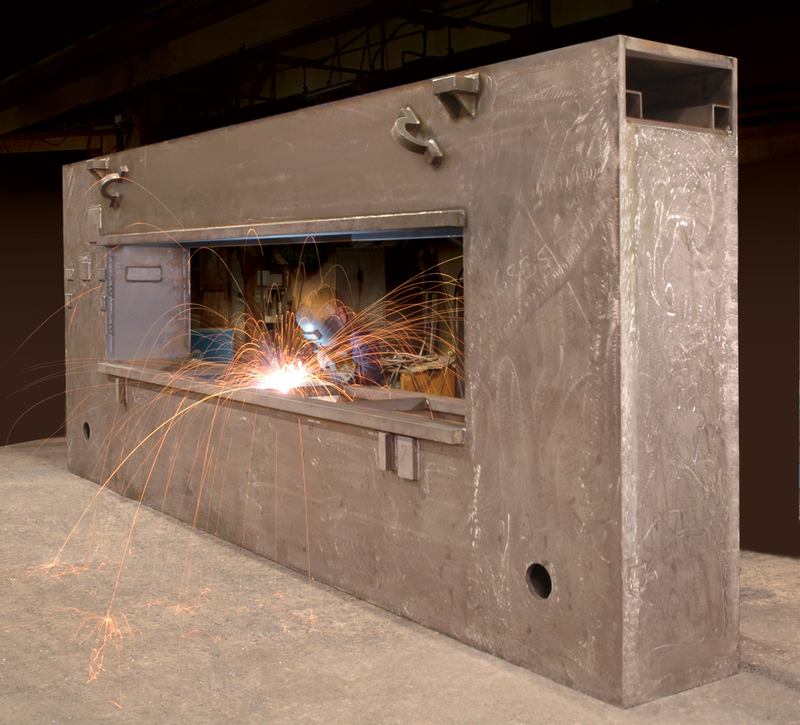 Our certified weld team is capable of MIG, TIG, Submerged arc, Carbon arc, and stick welding. 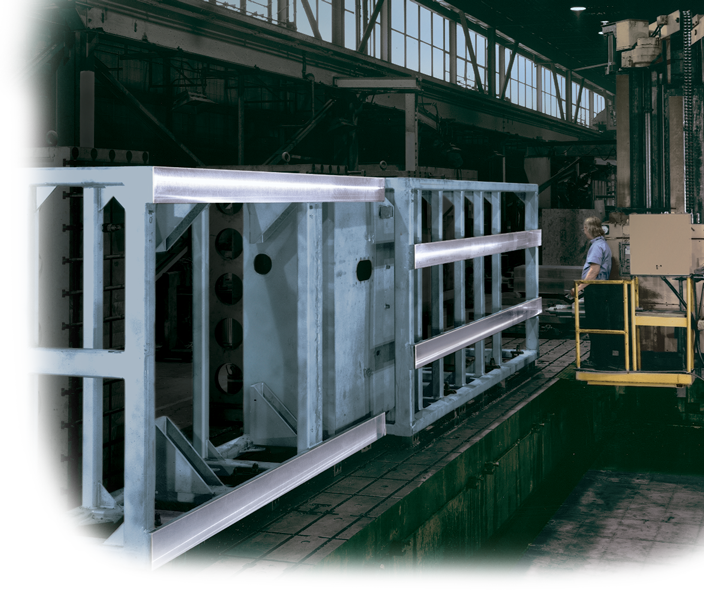 Weighing up to 30 tons, weldments of steel plate and structural tubing are manufactured with filet welds up to 2 inches. Shot blasting is also available on-site for an optimal weld penetration. Leverage Superior’s welding with other in-house capabilities for your next fabrication project. With over twenty grinding machines under one roof, Superior Die Set knows how to put the wheel to steel. 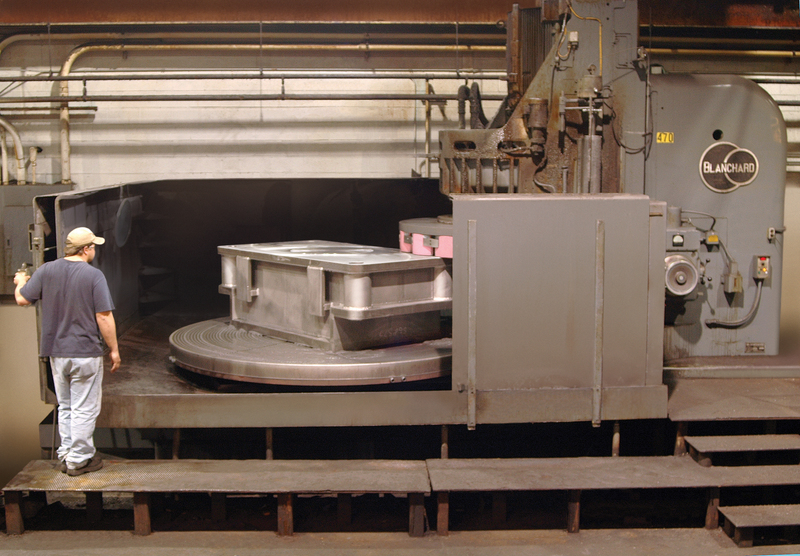 Superior’s standard tooling tolerances assure your flatness, parallelism, and size requirements will be met. Multiple grades of steel and aluminum can be ground to your specifications. Blanchard (rotary) grinding is available with up to a 160” diagonal, along with surface (reciprocate) grinding up to 60” by 80”. In-house Induction Hardening and Heat Treatment – in-stock selection of carbon and bearing steel, stainless, tool steel, high alloy, aluminum, bronze, and more. Superior Die Set has two Quick-Mill’s that accurately machines the edges of plates to within .002” TIR with a maximum capacity of 16” high x 48” square. 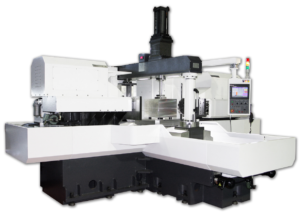 The dual spindle action rapidly removes material on two opposing edges, then indexes 90 degrees and completes the process so that all 4 sides are milled square and parallel. The micro finish produced by this machine is better than most ground finishes, typically surpassing 32 Ra. 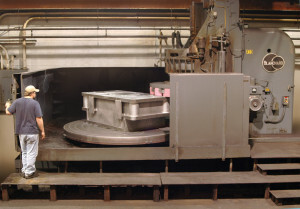 We can even square plates much larger than 48” on our typical horizontal centers. Housing over 25 machining centers – with horizontal capacity up to 90″ x 180″, and vertical capacity up to 22′ long. Superior can perform a spectrum of operations like pockets, key ways, drilling and boring to the strictest of tolerances. 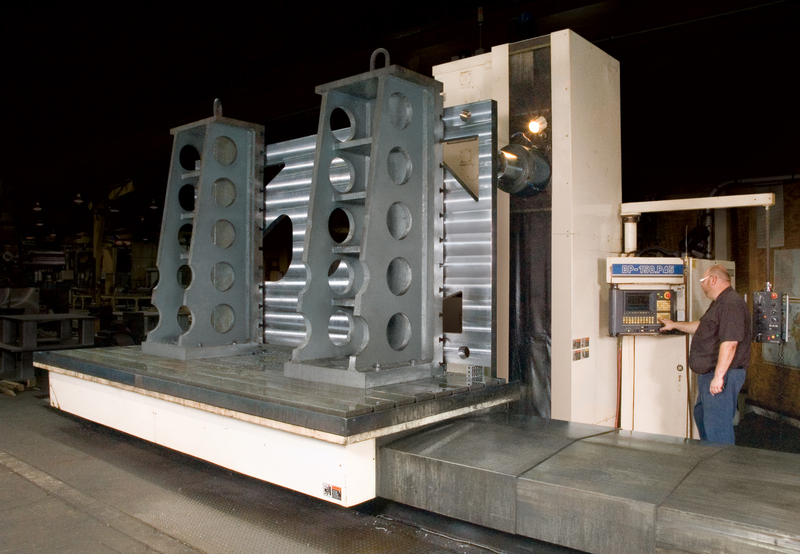 With our gun-drilling capabilities, deep holes can be drilled up to 39″. Draw on Superior’s over 90 years of diverse manufacturing experience to assist you with product design and development.